When exploring California's Napa Valley, famed for its incredible wineries and vineyards, you need somewhere cosy and inviting to rest your head. 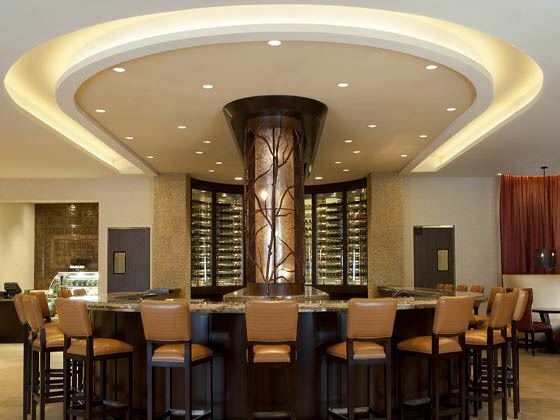 Enter Napa Valley Marriott Hotel, a charming retreat boasting a picturesque pool, lush gardens where you can sit with friends by a warming fire pit, and even a gorgeous spa for extra unwinding. Napa Valley Marriott Hotel & Spa is just off Highway 29 so it's in a perfect location to go exploring. There are many popular attractions and things to do in the area including hot-air ballooning, horse riding, winery tours, golf and shopping. Guest rooms with one kingsize or two double beds are available sleeping up to four people. VINeleven - A sophisticated restaurant serving a contemporary take on American classics, created with fresh, seasonal ingredients from local farmers and artisans.